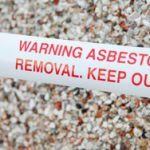 Workplace Standards Tasmania is inquiring how asbestos was left undetected at a demolition site in the state’s south. The deadly substance was buried in the infrastructure of a Girl Guides hall which was demolished for new council chambers.The asbestos was discovered at a rental property where it was misidentified as cleanfill. Thomas Connelly who resides on the site is considering relocating his family because he fears for his three children’s health. He has subsequently contacted the council, the EPA and the Tenancy Union. Connelly wants out of his lease immediately as he is worried the presence of the substance could have deadly implications. Connelly recalled stories regarding children who have played near mines in the past and have eventually be diagnosed with cancer. He is concerned that it only takes a small amount of exposure to result in cancer or a related disease.According to the site manager Bill Costin, a report is currently being prepared. Costin said checks had been done on the structure years ago but they missed the asbestos because it was “below the ground”. Asbestos Free Tasmania Foundation spokeswoman Susan Wallace stressed that what is above the ground isn’t the only important aspect since asbestos had been crushed in the past from demolitions and used to fill foundations.Wallace said this incident teaches those in the industry that simply checking the building is not sufficient. The council informed the public that the asbestos has since been removed from both sites. However, Connelly claims that it has not been removed and it is 100 metres from his home. Mr Costin alleges that he was removed and he will investigate further.